Back by popular demand, today we feature the third edition of our IndyCar Flashback series. Check out our first two features on the 1986 Indianapolis 500 and the 1998 U.S. 500 to get yourself settled in for today’s look back at another classic open-wheel race. The 1960s were known as a decade of innovation and change at the Indianapolis Motor Speedway. Perhaps no better example of that claim came in 1967. That year’s 500 Mile Sweepstakes featured several technological breakthroughs and a field that many claim as the greatest in the event’s storied history. It would be one driver’s skill and grit that would win him the race. At the beginning of the month of May, the STP-Andy Granatelli turbine-powered, four-wheel drive car driven by Parnelli Jones made waves. It would be 1966 pole winner Mario Andretti who proved to be the early favorite, earning his second pole in as many years. Jones would place his machine 6th on the grid of 33 qualifiers, having not shown his full hand prior to the race. The lack of speed displayed from the car in practice and qualifying prompted competitors to accuse the team of sandbagging. The explanation from the crew as for the slow speed was the full fuel load they practiced and qualified with, opting to set the car up for race trim. A.J. Foyt would win his third of four career Indianapolis 500’s in 1967. 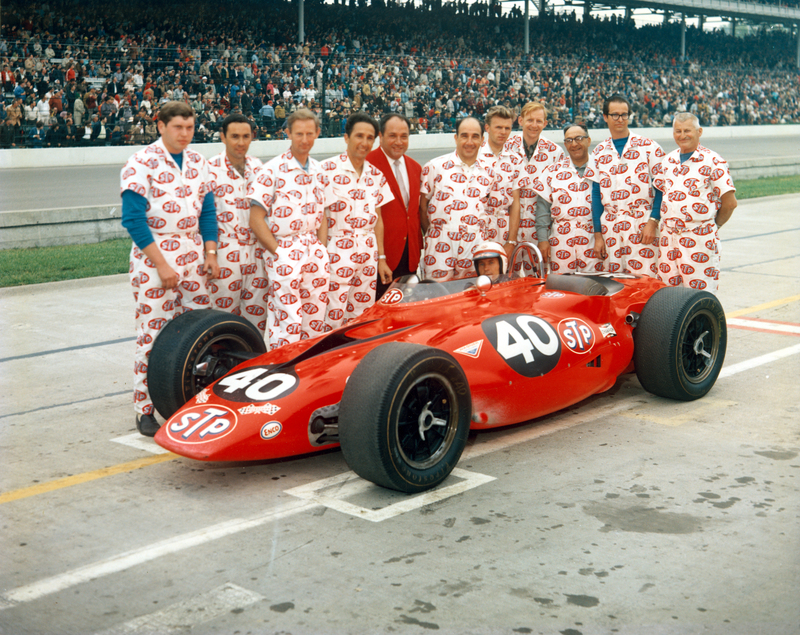 On race day, Granatelli’s team seemed to have had the right strategy all along. Jones rocketed from sixth to first and led the first 51 laps of the race. Andretti’s string of bad luck continued early, as a blown clutch forced him out of the race 14 laps in. During the caution rain began to fall, and after 18 laps, the race was halted and scheduled for completion the next day. Once racing resumed, Jones continued to dominate by leading the first 51 laps. Dan Gurney, who started the race second, briefly overtook Parnelli for two laps. Jones, the 1963 winner, would pass Gurney and go on to lead 124 of the race’s first 130 laps. The biggest threat to his success seemed to be the Ford-powered Coyote chassis driven by two-time winner A.J. Foyt. The Texan led for 23 laps in the first three-quarters of the race and seemed destined to finish runner-up to Jones. With four laps left, disaster struck. Jones’ car began to slow due to a failing transmission. The seemingly unbeatable car had been done in by a ball bearing valued at $6. Foyt inherited the lead, but his path to victory would see one last hurdle. A five-car melee broke out on the front stretch on the last lap. Foyt snuck through for the historic win, beating Al Unser by two laps. The Texan joined Mauri Rose, Wilbur Shaw and Louis Meyer as three-time winners. 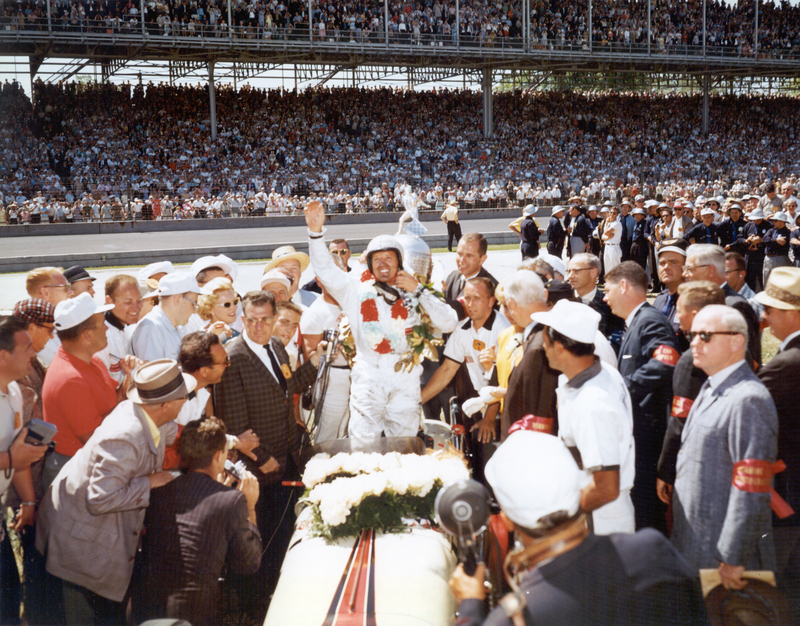 The 1967 race had a lasting impact on the Indianapolis 500’s illustrious history. Here is a look at the legacies from the year’s headliners. Foyt would break the three-way tie atop the Indianapolis 500 win list in 1977, becoming the race’s first four-time winner. Throughout his 35 starts, A.J.’s dominance would put him on the Mount Rushmore of Indy 500 race legends. The STP crew stands around Parnelli Jones’ 1967 turbine-powered car. Opting not to go through with an entry in the 1968 race, 1967 would prove to be Jones’ last hurrah at Indianapolis. In 1970, he would return as an owner and won the next two ‘500s with Al Unser. Granatelli returned with the turbine car in 1968, and again proved unsuccessful. A year later in 1969, this time with 1967 polesitter Mario Andretti, Granatelli would find victory lane at Indianapolis for the only time. After retiring his team in 1973, Granatelli stayed near the race and his innovations and STP sponsorship remain two of the era’s biggest icons. The 1967 front row of Andretti, Gurney and Gordon Johncock is among the most decorated in Indianapolis 500 history. Even the 11th row featured 1966 Indy 500 winner Graham Hill and 1970 Formula One World Champion Jochen Rindt. The 1967 Indianapolis 500 Rookie of the Year, Denis Hulme, would win the 1967 Formula One World Championship later that season. 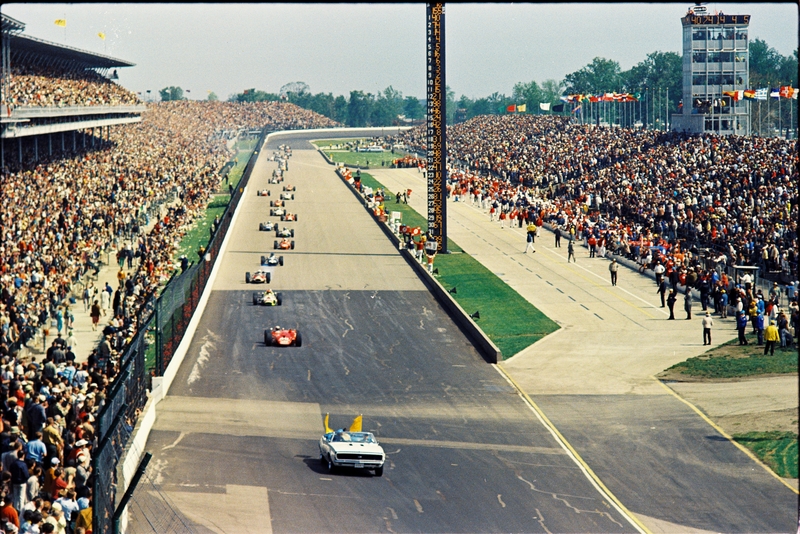 As Indy has attracted racing stars from all over the globe, 1967 remains one of the benchmarks for the Indianapolis 500’s status as a worldwide event. Aside from the turbine, a few other mechanical and technological stories were featured during the month. Foyt’s victory was the first for tire manufacturer Goodyear since Howdy Wilcox’s win in 1919, ending Firestone’s 43-race streak. Sam Sessions would also pilot the last front-wheel drive car in the race’s history. Sessions’ Mickey Thompson-fielded entry failed to qualify. The 1967 Indianapolis 500 was a race that had it all and over 50 years later, its place in IndyCar history is still held in great esteem.